The Heart” led to some pigeonholing from critics and reviewers, who had specific expectations for future records. Rather than deliver more of the same free-wheeling, breezy dance music of World Clique, Deee-lite took a more politically-minded approach with their second album, spurred largely by front-woman Lady Miss Kier, who had a lengthy history of political activism prior to forming the group. 1992’s Infinity Within rendered several Dance-chart hit singles, but was not as commercially or critically lauded as its forebear. Deee-lite were undaunted by their change in commercial fortune, regrouping with the addition of junglist DJ Ani, replacing the absent Towa Tei to record their third record. 1994’s Dewdrops In The Garden was the result of their efforts, which struck a remarkable balance between the celebratory grooves of World Clique, and the social justice-driven Infinity Within. Lady Miss Kier had done a lot of world-traveling in the time between albums, and the material in Dewdrops was a reflection of her experiences, applying a spirit of global togetherness to their house-funk grooves. 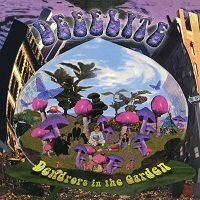 Regrettably, Dewdrops In The Garden was not a commercial success, yet it still managed to render its share of #1 Dance Chart singles; the atmospheric techno bounciness of “Bring Me Your Love”, and the spacious funk-house track “Call Me.” Though Deee-lite would disband soon after Dewdrops In The Garden’s release, the record remains an unheralded favorite among dance music devotees for its coupling infectiously bright, and soulful melodies, with banging dance-floor grooves, and unshakably optimistic vibes.